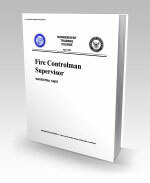 14097.pdf - Pages: 116 - 14097 Fire Controlman Supervisor - Covers Fire Controlman supervisor responsibilities, organization, administration, inspections, and maintenance; supervision and training; combat systems, subsystems, and their maintenance; and weapons exercises. 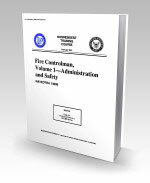 14098.pdf - Pages: 100 - 14098 Fire Controlman, Volume 1, Administration and Safety - Covers general administration, technical administration, electronics safety, and hazardous materials as they pertain to the FC rating. 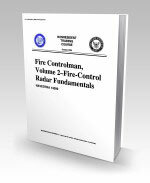 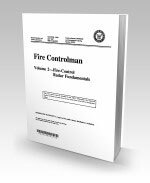 14099.pdf - Pages: 96 - 14099 Fire Controlman, Volume 2, Fire Control Radar Fundamentals - Covers basic radar systems and radar safety as they pertain to the Fire Controlman rating. 14100.pdf - Pages: 500 - 14100 Fire Controlman, Volume 3, Digital Data Systems - Covers computer and peripheral fundamentals and operations, configurations and hardware, operator controls and controlling units, components and circuits, central processing units and buses, memories, input/output and interfacing, instructions and man/machine interfaces, magnetic tape storage, magnetic disk storage, CD-ROM storage, printers, data conversion devices, and switchboards. 14101.pdf - Pages: 112 - 14101 Fire Controlman, Volume 4, Fire-Control Maintenance Concepts - Introduces the Planned Maintenance System and discusses methods for identifying and isolating system faults, liquid cooling systems used by Fire Controlmen, battery alignment (purpose, equipment, and alignment considerations), and radar collimation. 14102.pdf - Pages: 122 - 14102 Fire Controlman, Volume 5, Display Systems and Devices - Covers basic display devices and input devices associated with Navy tactical data systems as used by the FC rating. 14103.pdf - Pages: 152 - 14103 Fire Controlman, Volume 6, Digital Communications - Covers the fundamentals of data communications, the Link-11 and Link-4A systems, and local area networks. 14104.pdf - Pages: 334 - 14104 Fireman - Provides information on the following subject areas: engineering administration; engineering fundamentals; the basic steam cycle; gas turbines; internal combustion engines; ship propulsion; pumps, valves, and piping; auxiliary machinery and equipment; instruments; shipboard electrical equipment; and environmental controls.